Consider that word: “perfect.” In our time, something is perfect when it is absolutely good; free from flaws or defects; precise and exact in condition, correctness, and quality. To be perfect is to be flawless. In their time, however, nobody regarded Brother Juniper in this way. Instead, Juniper is remembered as perfect in the sense that he was truly human; he was created and loved by God; and like us; and he was a sinner who depended on God’s mercy. At the same time, Juniper was perfect in the sense that he was as good as it is possible for a human being to be. He was perfect in the sense that he was able to live the Gospel of Christ and preach it with every thought, word, and deed, in all its beauty, truth, and wisdom. Again, Brother Juniper was as good as it was possible to be. A person’s wisdom yields patience; it is to one’s glory to overlook an insult (Proverbs 19:11). With patience, a ruler can be persuaded; a gentle tongue can break a bone (Proverbs 25:15). The fruit of the Spirit is love, joy, peace, patience, kindness, generosity, faithfulness, gentleness, and self-control (Galatians 5:22). As God’s chosen ones, holy and beloved, clothe yourselves with compassion, kindness, humility, meekness, and patience (Colossians 3:12). May you be made strong with all the strength that comes from his glorious power, and may you be prepared to endure everything with patience, while joyfully giving thanks to God, who has enabled you to share in the inheritance of the saints in life (Colossians 1:10-12). Even if we are not scripture scholars, we might be interested in how the ancient texts express the virtue of patience because the etymology of the word (in English at least) dates back only to the lifetime of Saint Francis. Overall, patience finds its linguistic roots in the Latin word “patientia” which means the willingness to bear adversity; the calm endurance of misfortune; the ability to cope with hardship; and the acceptance of suffering. In this context, it is important to understand that Brother Juniper was not simply someone who bore the small annoyances of daily life without anger or anxiety. Rather, Brother Juniper was among the holy ones. He was as good as a person could possibly be. 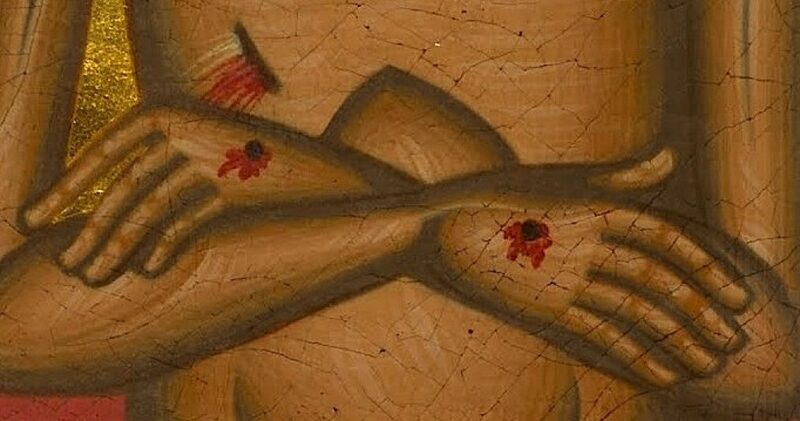 And he practiced a sinner’s perfect patience in that he was somehow able to carry the cross suffering and trial with contentment because of his close and friendship with the Poor Christ. This friendship was forged and strengthened through prayer and good works. It was shared with compassion, generosity, and love of neighbor. And it was made manifest in ways that often invited the scorn of the wise, but nourished the souls of the poor in spirit.